While much traffic in the internet of things, is device-to-cloud, sometimes it is important to send data from the cloud to an IoT device. In Assetwolf we call this a Command. With a Simple command, the Superuser sets up a template for what to send, so that the more junior user who sends the actual command has a simple interface. With Pre-formatted Commands, there is a screen in which a Superuser can define a number of fields, and make a user-friendly "form" for the eventual user to use. The form will contain placeholders, and the eventual command will be sent in JSON. Raw JSON Commands are intended for more advanced users (e.g. maintenance engineers), as the sending user will specify the complete JSON string to send to the device. This article just covers Simple Commands, please see a later article on Pre-formatted and Raw JSON Commands. To define a Simple Command, first select an asset type, and then select Commands. You'll then see a list of Commands for that Asset Type, and there should be a +New command button to define a new one. Give the Command a name, and enter "ON" as the text for the instruction to turn the Arduino lamp on. You can also create a similar Command with "OFF", to turn the lamp off. What will the Command look like? That's it! The word "ON" (or "OFF") is the entire payload. Simple Commands just have a single string, and this is sent to the device when the Command is used. Select the command and press Send. If you use the program shown below, in which the Arduino goes to sleep for several seconds and wakes from time to time, the command will be queued on Assetwolf until the Arduino comes online again. It will need to connect and publish some data, and will receive the Command to turn the light on when it does this. This is a typical mode of operation for devices that need to save power (more on this in a moment). If the device is on all the time, the data will be sent immediately. Here's the Arduino again, now with its red light turned on. Here's the Arduino code that we now run to make this happen. // Setup a feed called 'assetSub' for subscribing to changes. 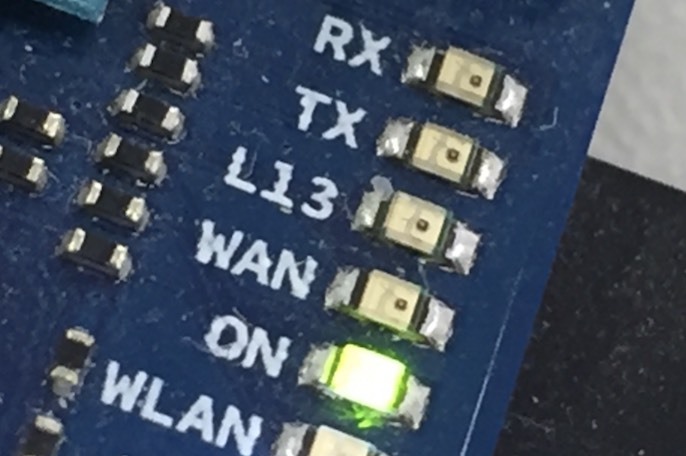 The above code tells the Arduino to connect and subscribe to the relevant MQTT topic (which is a combination of the client username and the device ID). This happens in the setup() function. 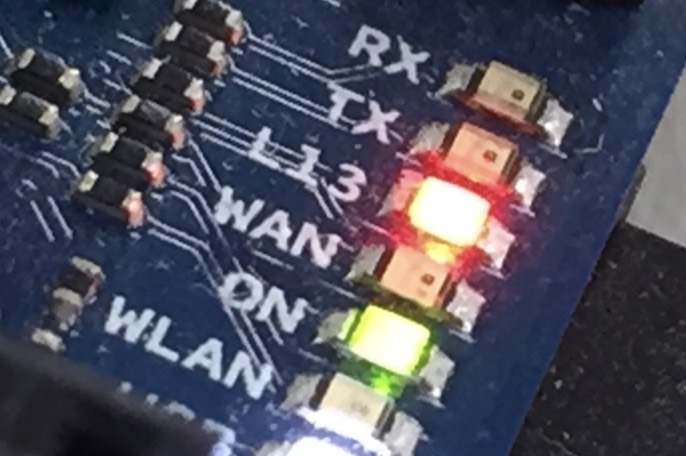 Note that the code also gets the light level as per the previous article and publishes that data to the Assetwolf IoT server. After publishing the data, it waits for 3 seconds (3000ms) for the server to send back a Command, if one is pending. If one arrives, it looks for the string ON or OFF and turns the red LED on or off accordingly. Then there is a 90 second delay, after which the process repeats. In a real-world device in which power consumption must be kept low, the above routine allows you to send a command or some other data to a device that spends most of its time in standby mode and only wakes up from time to time. This is good for keeping power consumption down, but does mean that outgoing data cannot usually be got to the device without some delay. But the above script could easily be adapted for something that is always-on.